Get a 15% discount on the iJoy Limitless RDTA Classic Edition by using out exclusive coupon code. 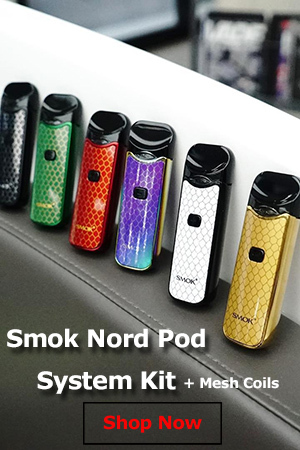 RDTAs are really popular these days and Chinese company iJoy has really been cashing in on this trend. 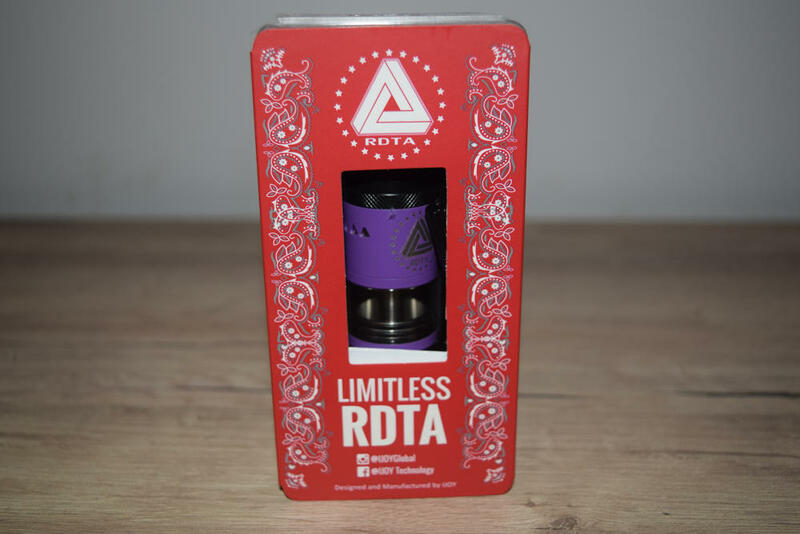 They’ve put out not one, not two, but four different RDTA atomizers – the original Limitless, the Limitless Plus, the Combo RDTA and now the Limitless RDTA Classic Edition. 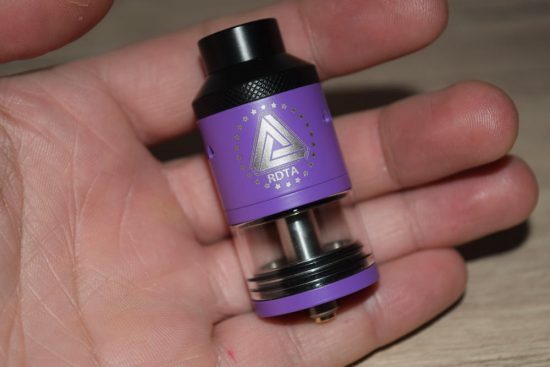 They are really riding the RDTA train right now, and to great success, I might add. In this review, we’ll be looking at the iJoy RDTA Classic, the latest and reportedly the best iJoy RDTA to date. Before we get into the actual review, I just want to clarify that I don’t know what the relationship between iJoy and Limitless is these days. They worked together on the original Limitless RDTA and the iJoy/Limitless Lux 200W mod, but they apparently had a falling out around the time that the iJoy Combo RDTA came out. This Classic Edition Limitless has “co-designed by iJoy and Limitless” on the bottom, so I’m a bit confused about whether this is an iJoy product or another collaboration between the two companies. Some say it’s a clone, others that the two brands have patched things up. I don’t know, and, to be honest, I don’t much care. I’m just reviewing an interesting device that I received from Heaven Gifts. The iJoy Limitless Classic kit comes in the same style plastic box as the Combo RDTA, and as we’re about to see later, the device itself is basically a slightly upgraded version of the Chinese manufacturer’s previous atomizer. Inside the box we have the assembled RDTA – mine was purple, but it comes in various other colors – a pre-made triple coil-head that comes wicked and ready for use, a spare glass tube, an interchangeable Velocity style deck, an interesting postless deck (pre-installed in the RDTA), an RDA base, two small screwdrivers – one Phillips head and one flat head – a 510 drip tip adapter, and a bag of goodies which includes two beefy Clapton coils, some organic cotton, spare o-rings and spare screws. If you already own the Combo RDTA, you’ve probably noticed that the contents of the Limitless Classic are virtually the same. The two noticeable changes are the inclusion of the RDA base, which you had to buy separately for the Combo, and the postless deck that hadn’t been launched yet, but is currently available for the Combo RDTA, as a separate purchase. Other than that, it’s the same bountiful package. 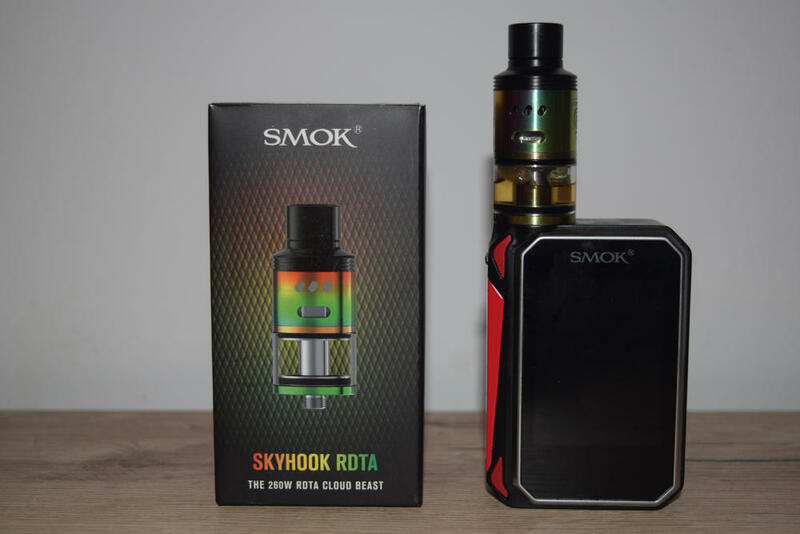 This portion of the review is usually the lengthiest, but in this case I’m going to keep it short and sweet because, as I mentioned above, the iJoy Limitless RDTA Classic Edition is very, VERY similar to the iJoy Combo RDTA. Basically, the only differences are the drip tip (both chuff style, just slightly different design) and the airflow slots (two large holes on the Combo, and four triangular slots on each side of the new Limitless). Other than that, the two devices are virtually identical. 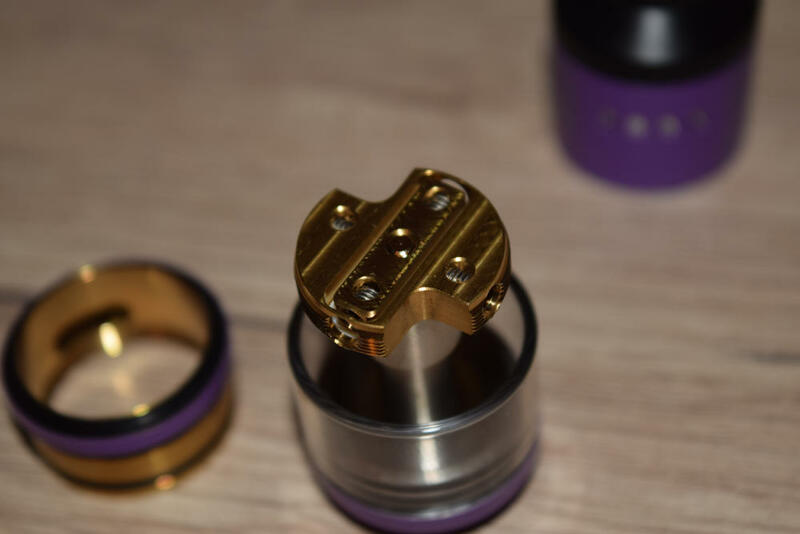 The dimensions are the same, they are both 25mm in diameter, hold an impressive 6.9ml of e-liquid, and are compatible with the interchangeable IMC RDA decks that iJoy has been pushing heavily this year. The RDA covers on the two devices are exactly the same, so are the RDA bases, and pretty much all the other components for that matter. Another small change that will only matter to hybrid mod users is the protruding connection pin. 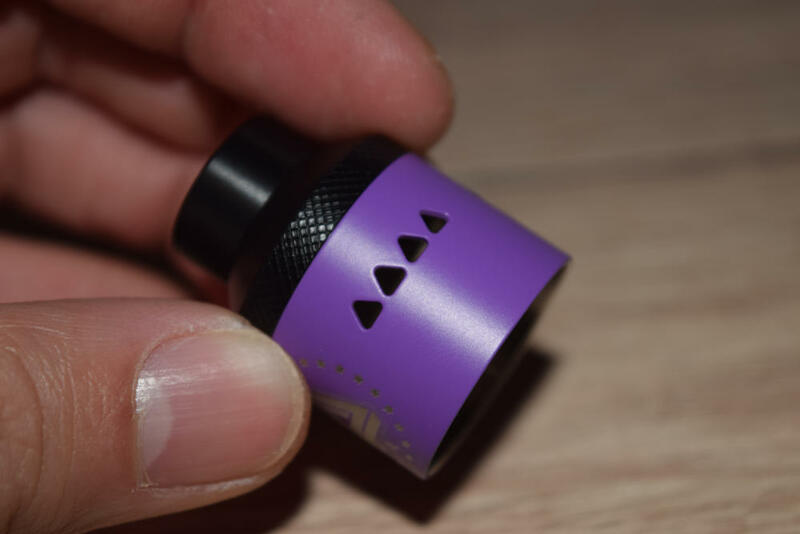 On most atomizers these days, you have to unscrew the pin a little bit to make sure it protrudes enough to avoid getting a short circuit and putting your life at risk. But on the iJoy Limitless Classic Edition, the pin protrudes enough when it is screwed all the way in. I don’t recommend using hybrid mods, but some people do it anyway, and this atomizer seems safer than most. From what I heard, Ijoy will stop producing the Combo RDTA soon, and they just wanted something new to replace it with. I don’t really get the logic behind their decision, because the new Limitless RDTA Classic is basically the same device, with a different name. There is nothing wrong with that, they are both great devices, it just doesn’t make sense to me why you would replace a good thing with another that doesn’t really bring anything new to the table. Perhaps they just want to push the Limitless brand, I don’t know. 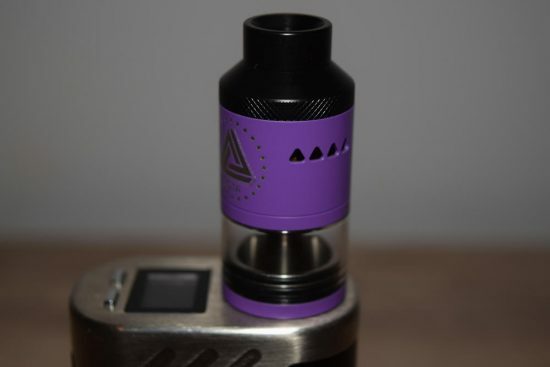 The first thing you want to do when getting an atomizer ready for first use is take it apart and give it a good rinse with warm water to remove any leftover machining oil. Once you’re done with that, it’s time to install the coils. For intermediate users that don’t have a great deal of experience with coil building, the included pre-made coil head is a great option. It’s the same style coil head that comes with the iJoy RDTA Box, and even though it doesn’t offer the same quality vape as a good DIY build, it’s decent enough. The problem I had with it has to do with the positioning of the coils and airflow holes. Because it has three coils and the RDA cover of the Limitless Classic has two airflow slots, the air doesn’t hit all the coils directly when you draw, and the flavor is a little muted. 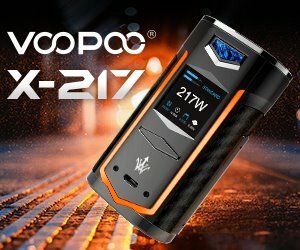 It’s a good vape, but with optimal airflow it could be great. I, for one, think that a dual coil solution would work much better, as that would fix the alignment issue. Both the pre-made coil head and the interchangeable IMC decks simply screw directly into the elongated connection shaft. Just keep in mind that when you unscrew them completely, the 510 pin will fall out through the bottom of the RDTA as well, so make sure you hold it with a finger, so you don’t lose it. The iJoy Limitless Classic Edition comes with two IMC decks – a classic Velocity style deck and a postless one. I had never used a postless RDA deck before, so this was the highlight of my experience with this device. It was actually surprisingly easy to set up, but there are a few things you need to keep in mind. First of all, the screws are on the side of the deck, so in order to loosen them, you have to unscrew the metal ring just above the glass tank. Then, you need to keep in mind that the two slots located in the middle of the deck, surrounded by a rectangle, are the positives, and the other two are the negatives. So you have to install the coils with that in mind, while also making sure that the coil holes face the gaps on either side of the deck (where the cotton wicks go). Finally, because the wire holes don’t go all the way through the deck, you have to cut the wire leads before locking the coils in place. It sounds more complicated than it is really, but the set up is a bit different than on classic RDA decks. When inserting the cotton into the wicking slots on whatever deck you’re using, make sure the leads are thick enough to seal off the atomization chamber, but not dense enough to make it hard for the juice to reach the coils. If you’ve ever used an RDTA or Genesis atomizer before, you already know what I’m talking about. After dripping a bit of juice on the cotton, all that’s left to do is fill the tank with e-liquid. The iJoy Limitless Classic features a large fill port on the metallic ring that goes right above the glass tank. You can virtually use whatever filling container you want, from droppers and unicorn bottles, to syringes. Again, I feel there’s not much to say here that I haven’t already said in my review of the iJoy Combo RDTA. Because of how similar these two atomizers are, the vaping experience is pretty much the same. 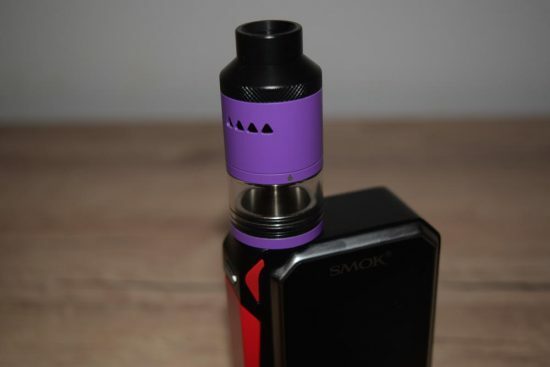 The small differences, like the new design of the Delrin drip tip and the shape of the airflow slots don’t really have a big impact on your vape. That’s not a bad thing, by any means, because the Combo is definitely one of my all-time favorite Genesis-style devices. With the pre-made coil, you’re going to get a decent vape, but if you really want to bring out the best out of your favorite juice, I highly recommend using one of the many decks available for the Limitless Classic Edition. I’ve mostly been using it with the postless deck, simply because of the novelty effect, although it’s definitely a great addition to iJoy IMC family, but any of the dozen or so interchangeable decks will do. 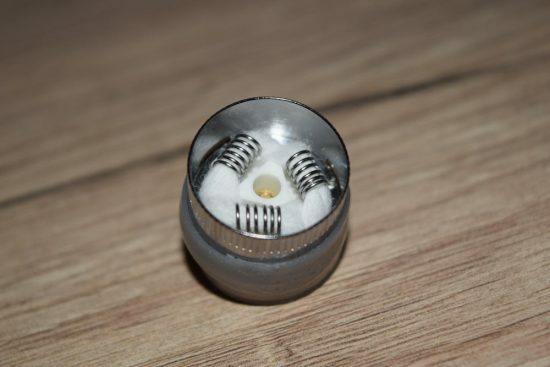 Basically, the only things you have to keep in mind are that wicking is key when dealing with any Genesis atomizer, so make sure you don’t clog up the wicking holes, and always make sure that the juice reaches the cotton leads so that it’s nice and saturated. I like to flip my mod upside down every few draws, so even if the tank is almost empty, the little juice that’s in there still saturates the wicks. 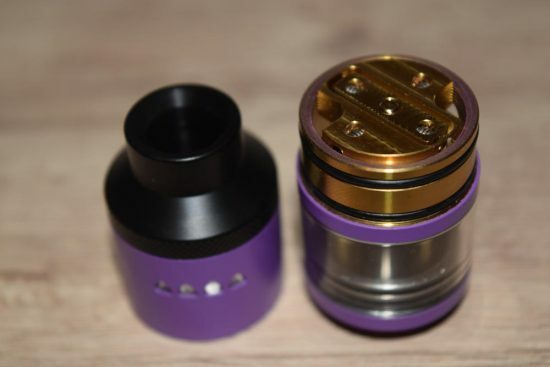 If you set it up properly, the e-liquid will not flood the coils, and thanks to the double o-rings iJoy has implemented on every removable part of the RDTA, leaking is never a problem. The vapor you get with this thing with the two Clapton coils provided by iJoy is just insane, and the best thing is that you can use virtually any style coils you like with your favorite RDA deck. The possibilities are, well, not limitless, but way more than with any other RDTA on the market right now (except the Combo, obviously). 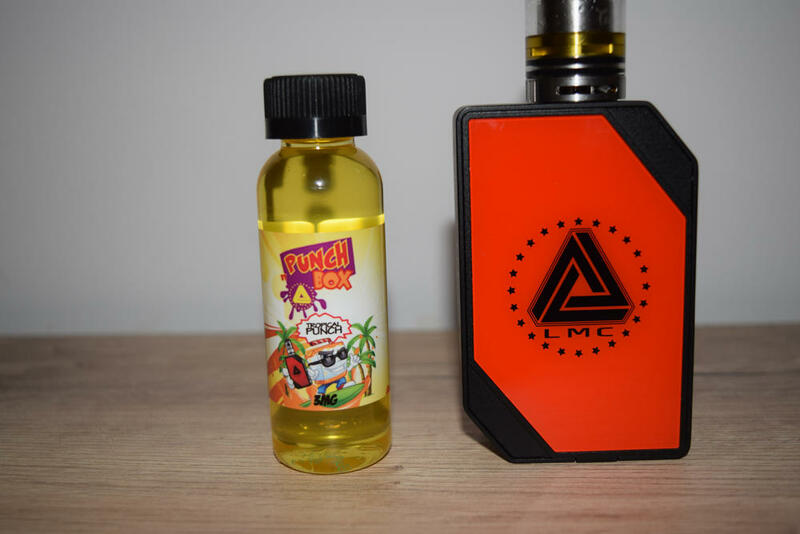 Juice consumption can be a problem, depending on what build you’re using, but it’s definitely not worse than other modern Genesis atomizers, like the Geek Vape Avocado 24, for example. For the amount of vapor you get, and the great overall vaping experience, I’d say the e-liquid consumption is actually pretty decent. Overall, I would have to say that the iJoy Limitless RDTA Classic Edition is indeed the company’s best RDTA yet, but only because it’s just as good as the previous one, the Combo RDTA. Everything from the innovative interchangeable deck system, to the huge juice capacity and the possibility to use this device as a simple RDA was just perfectly executed by iJoy, resulting in a must have piece of equipment for any respectable vaper. I, for one, cannot think of a single major con of the RDTA Classic, which really doesn’t happen very often. Sure, I could nick pick, and say that the fine layer of juice left on the RDA cover, after you take it off and put it back on, is a design flaw, but that happens with pretty much any RDA or RDTA, so I’m not bothered at all. 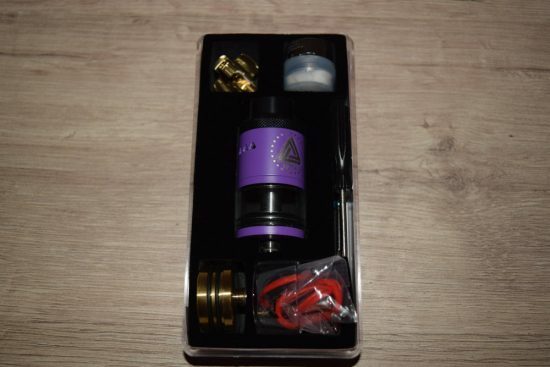 So should you buy the iJoy Limitless RDTA Classic if you already have the Combo RDTA? No, there’s no good reason to do that, in my opinion. You can buy that cool postless deck for the Combo separately, and the other little differences definitely don’t justify the cost of what is basically the same device. That said, I’m sure a lot of vaping enthusiasts and collectors will get it anyways, just because. If you don’t have any of them, though, I highly suggest you keep the Limitless Classic in mind when you decide you want a new quality RDTA. This thing is awesome!